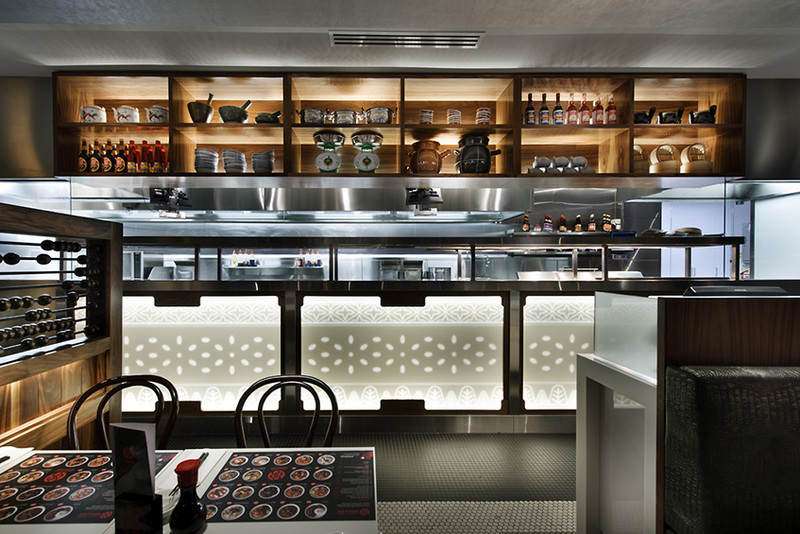 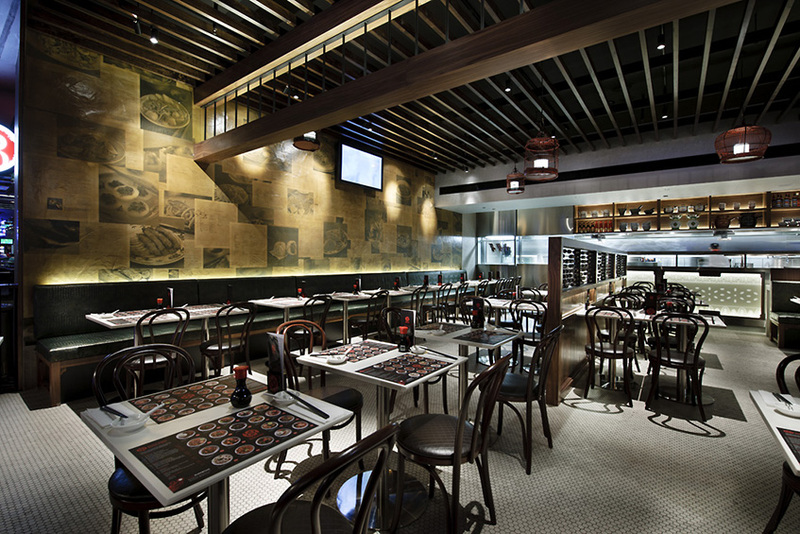 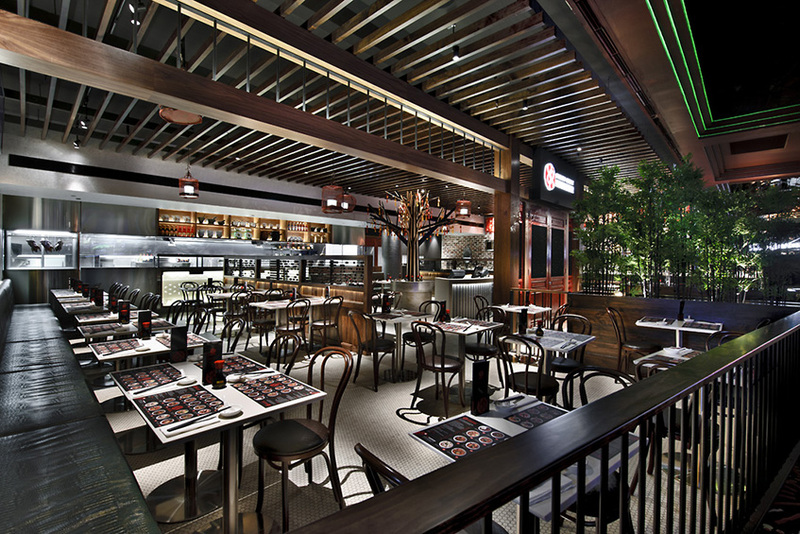 88 Noodle Bar is one of Burswood Entertainment Complex’s new ventures in the refurbishment of the Casino and its associated facilities. 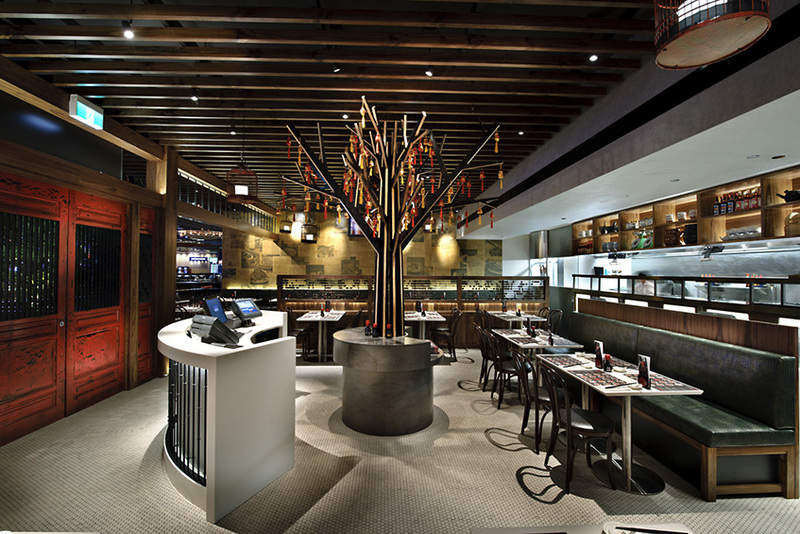 Due to the restaurant’s location, it was important to incorporate elements that were dynamic and allowed for the client to promote specials or events. 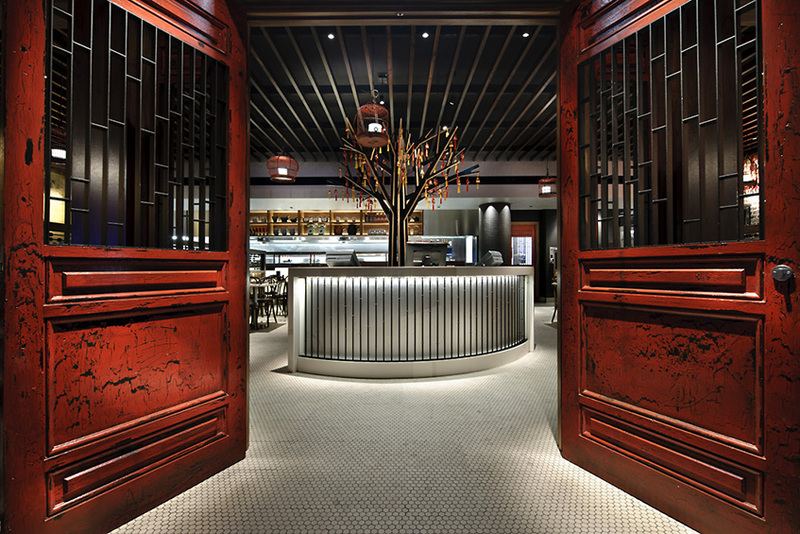 Located in the gaming complex, it was important to create a sense of drama and entertainment and thus a “stage set” philosophy was used to plan and design the space. 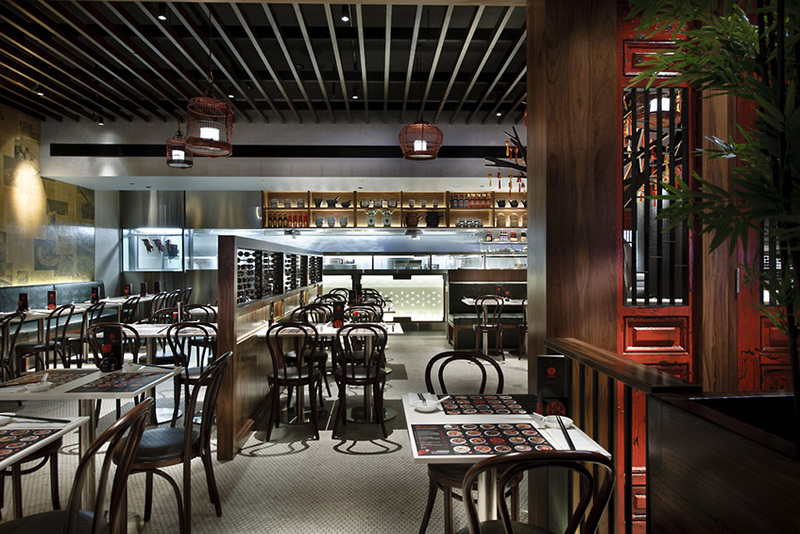 From the bird cage lights, to the Venetian mirrors, to the texturally stacked ‘red packet’ wall, to the custom edge profiled dining tables and hexagonal mosaic floor tiles, there are visual cues throughout the restaurant to prompt and delight.